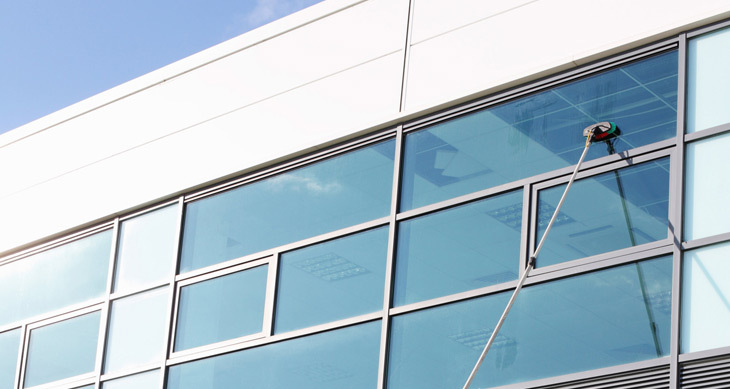 We provide effective, fast commercial window cleaning in the Thornhill region. 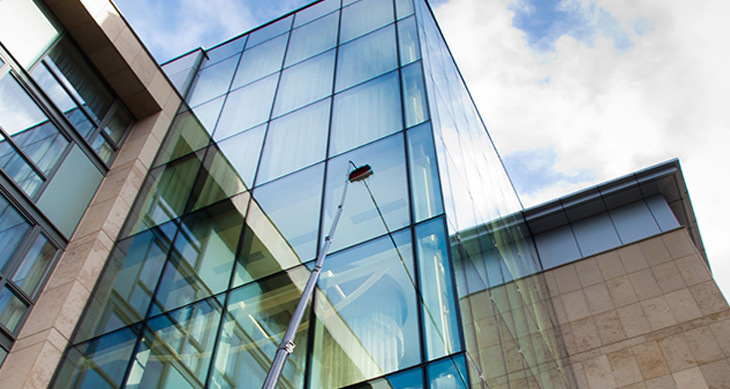 With the ability to clean at heights of up to 27 storeys we can clean just about any property; office buildings, churches, housing complexes, manufacturing facilities, and more. Our service provides you with clean, long-lasting windows windows. Ensuring that your windows look great and your investment maintains value. Contact us for a free no-obligation estimate and discover what makes NICK’S Window Cleaning Ontario’s leading commercial window cleaner. Working directly with you we develop a plan that meets your needs. Thornhill has quite a variety of properties and we are able to clean the windows of every one. However, not all properties will have the same requirements. Rather than providing one-size fits all packages we take into consideration all aspects of your needs. Call us for a free estimate and explain exactly how we can help. We clean your windows when it suits you best. Whether you need us to clean them before or after specific events pertaining to your business or operations, we will do our utmost to provide service at a time of day that suits your needs. Maintaining a safe and productive work environment is critical to our success. Working at heights requires attention to detail to ensure a safe working environment. This consideration covers all nearby people and property. If you have particular safety concerns please bring them to our attention and we will discuss how we will address these aspects of the job. Thornhill has quite a number of office buildings and condos. All of these properties require regular window washing to ensure that their windows are long-lasting and look great. Our workers are skilled and use the latest in window cleaning technology to make sure the job is done fast and effectively. Providing excellent service is at the heart of our company. From the first time you call, to the execution of our services, we treat your property as if it were our own and make certain that the job is done fast and effectively. 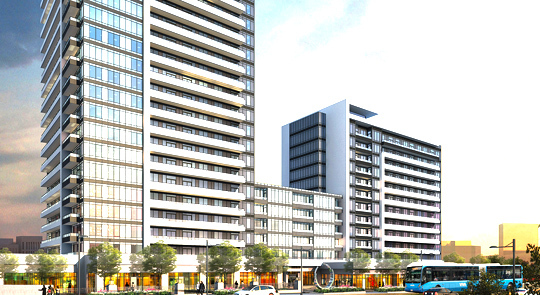 Why Should You Hire Thornhill Commercial Window Cleaners? Having a well maintained property is important whether you are a property owner or a tenant. If you are running a customer/client based business you absolutely need to make sure your place of business looks it’s best. Having well maintained, clean windows lets people know you are professional. For property owners, cleaning your windows regularly is the best way to make sure they don’t fail prematurely. A build up of dirt and grime can scratch your windows and cause sealants to crack and fail. Now that you know why you should clean your windows, who should you hire? Many people will attempt to DIY their window washing tasks. This may seem like a good idea particularly for people who are budget conscious or who simply couldn’t be bothered to go through the effort of hiring someone. Smeared, unsightly windows is the most often result in such a case. This is largely due to using the wrong products and tools. Further, lackluster results are common due to inexperience in performing the work and using the equipment. It’s easy to neglect windows, as long as they let the sun shine in the state of them can be forgettable. They also collect dirt so slowly it’s also easy to not even notice the build-up over time. But it’s important to keep them looking great to show that you take pride in your property and business. Hiring professionals to clean your windows keeps them functioning and looking their best. If you have a business that depends on walk-in traffic, or a business you want to make sure that people can see into your shop. Having clean, spotless windows allows light to shine in but also let’s customers and potential customers see your products and store much more easily. It also sends the message that you’re a responsible professional establishment. Consciously people rarely register dirty windows, yet they make an impression. 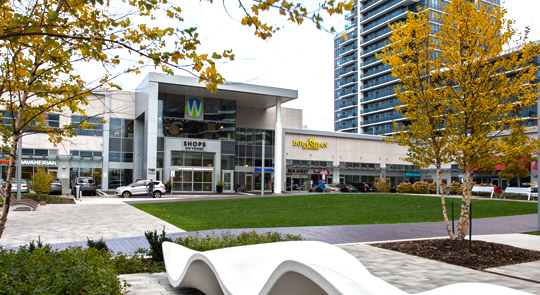 Our Thornhill commercial window cleaners are professional, uniformed, and friendly. We’re ready to make your property look great whether it’s an office building or housing complex. Call us for a free estimate and find out why more Thornhill businesses are depending on us for fast, effective window cleaning service.